Surprising isn't it? 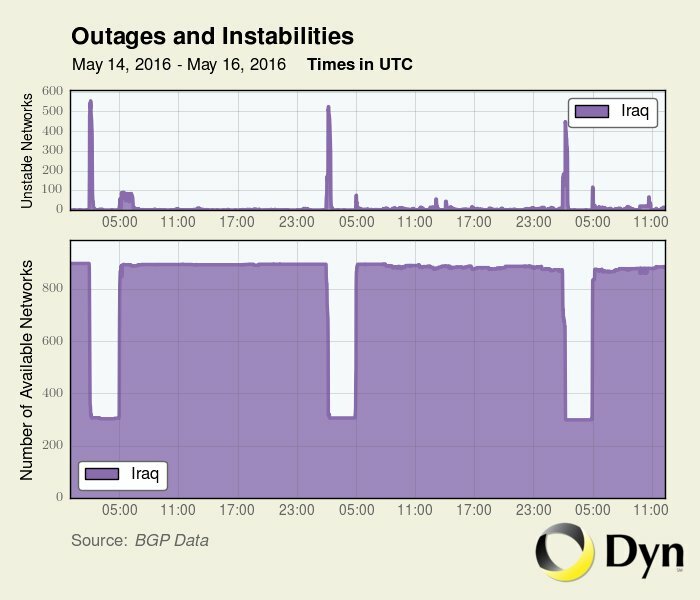 Well, the Iraqi government has shut down internet access in a bid to discourage examination malpractice among students taking exams this week. Meanwhile, this is not the first time the country is shutting down internet access as they periodically do it for political, security and examination purposes. According to data from DYN Research , which is an organization that tracks web outages all over the world. The company's report on their data indicates that internet access was slightly entirely blocked for complete three hours on Saturday, Sunday, and Monday morning this week, between 5AM and 8AM local time. "There was certainly a lot of skepticism about this explanation last summer, but the outages did coincide with exams and nothing emerged to dispute the explanation," Doug Madory, director of internet analysis at DYN, tells Vocativ. 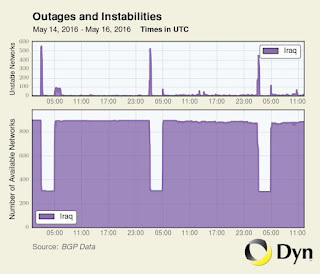 It is understood that the Iraqi government periodically block internet and even social media sites in attempt to fight insecurity and other purposes. Apart from Iraq, other nations like Uzbekistan, forced a nationwide block in 2014, also in Indian state of Gujarat, blocked mobile networks for complete four hours this year to thwart cheating on a national test for accountants examination. Do you think this can help reduce examination malpractice in Nigeria if the government should follow suit? This can't actually happen in Nigeria and there nothing absolutely wrong with this move. Does it mean that the students have been passing exams via exam malpractice and the government now wants to stop it.